KODAK No. 2 Hawk-Eye FILM PACK CAMERA - 1922. Produced between 1922 and 1925. It is an all-metal box camera that takes size 520 pack film as opposed to roll film, has a rotary shutter and a meniscus lens. The original Hawk-eye camera series was made by the Boston Camera Company, which was then bought by the Blair Camera Co., who also produced a line of Hawk-eye Detective cameras in the last decades of the 19th century. In 1898, Eastman Kodak bought the Blair Camera Co., moved it to Rochester, and also introduced some cameras with the Hawk-eye name. MSRP $2. Film Pack. Introduced by Kodak in 1903 and was at first called the Premo Film Pack. It was used in the Film Premo camera and was made in quarter-plate, Postcard and 5 inch sizes. Later made in 2 x 3 1/4 and 5 x 7 inch. The pack contained 12 sheets of film, thinner than single sheet film, each with a numbered paper tab attached; it could be inserted into the holder in daylight. The tabs protruded from the loaded holder; as a sheet was exposed you pulled its tab which moved the exposed film to the back of the pack. The film pack goes with the black paper side facing the lens, and the paper tabs facing away from the hinge. Then close the back on the pack. Pull the first tab, and tear it off against the pack. That will remove the paper "dark slide" protecting the first sheet of film. Expose, pull, tear, repeat. There's no film to expose after pulling the last tab. Pulling a paper tab loaded a fresh film into place for each exposure, the previously exposed film being at the same time moved to the back of the pack. The film was about ASA 50 when new. This camera is fairly common on eBay, but not in this unused condition with leather hand grip, with original manual, box and an unopened Film Pack. 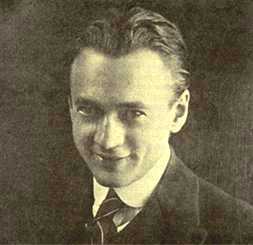 1923 - VLADIMIR ZWORYKIN AND TELEVISION. 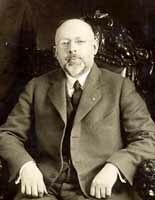 Vladimir Zworykin patented the television picture tube in 1923. 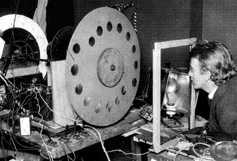 He also developed a cathode-ray tube receiver and built console television cabinets to house his test mechanisms. In 1924, Zworykin filed a patent application for his kinescope that later was to be called a television receiver, or just TV. 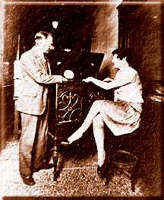 In 1929, Zworykin broadcast the first electronic image through the air from the KDKA radio transmitter at the Westinghouse Recreation Center on Greensburg Pike, Pittsburgh, PA. The images Zworykin sent were received on a cabinet television at his home in Swissvale, PA. Zworykin called his picture tube the "Iconoscope." This round tube contained the first photoelectric mosaic made from metal particles applied to both sides of a sheet of mica. The Iconoscope allowed pictures to be electronically broken down into hundreds of thousands of elements (picture elements, or pixels). The electron beam received a photoelectric charge from the mosaic. Zworykin presented the Iconoscope at New York in 1929 for an engineer's meeting. Zworykin had been hired by David Sarnoff of RCA and given the task of developing a TV equal to that of Philo Farnsworth who had been declared the inventor of TV by the U.S. Supreme Court. Zworykin was never able to design a marketable TV without using patents by Philo Farnsworth, but just as Sarnoff decided to pay Farnsworth for use of his patents, the U.S. entered World War II and work on television was discontinued for six years, by which time Farnswoth's patents had run out and RCA was able to then mass produce TV sets without payment to Farnsworth, the man responsible for one of the most profitable inventions of all time. Zworykin Iconoscope Tube circa 1932. RADIO PHOTOGRAPH - 1924. RCA transmitted the first radio photograph, a precursor to the facsimile machine, across the Atlantic Ocean. FIRST SUCCESSFUL 35MM CAMERA - 1924. 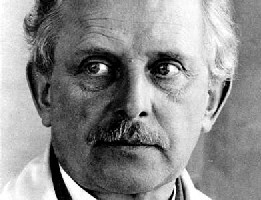 Leica cameras began when Oskar Barnack developed the world's first successful 35mm format camera, the Leica I. 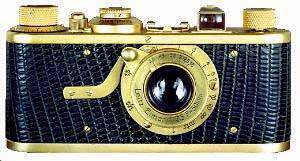 The Leica I camera was presented to the public for the first time at the 1924 spring fair in Leipzig, Germany. FIRST VIDEO PHONE- 1926. Dr. Herbert Ives, an American, proposed in January of 1925 speeding up an AT&T facsimile system "to the point where the product would be television." By December 1925, he had devised an electromechanical system that could transmit images from one laboratory bench to the next. Dr. Frank Gray contributed a mechanical television camera based on the flying spot system, which illuminated the subject with a rapidly moving, narrow beam of light. Harry Stoller contributed a system for keeping the transmitter and receiver synchronized. Ives first demonstrated this apparatus to AT&T executives on March 10th, 1926. The executives talked to one another via "video telephone". The picture was low-definition with 50 lines of resolution at 16 frames per second, but the image of a human face was recognizable, seen via a 2-inch-by-2�-inch window. KODAK CARTRIDGE HAWK-EYE NO. 2 MODEL C - 1926. 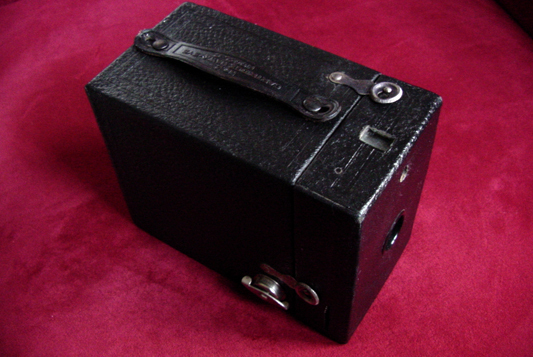 Early model box cameras are plentiful and can often be pruchased in good to excellent condition at very modest prices. Every camera collection should have at least one box camera. The above camera was purchased for only $9.95. THE FLASHBULB - 1927. 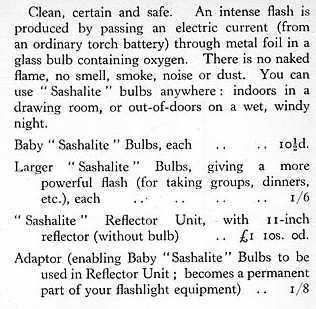 In 1927, General Electric invented the modern flashbulb. 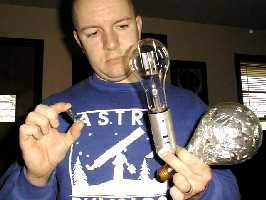 In the early 1930's, flashbulbs replaced dangerous flash powder techniques of illumination. 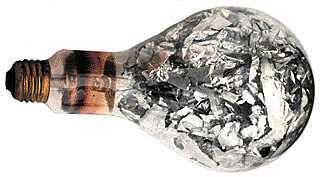 The first commercially available bulb in the U.S., GE's Sashalite, was very large and contained aluminum foil surrounded by an oxygen atmosphere to increase burning of the foil. 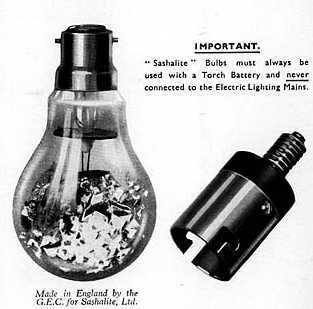 The Sashalite had a tremendous light output, nearly 180,000 lumen-seconds, necessary for the rather slow speed films of the time. 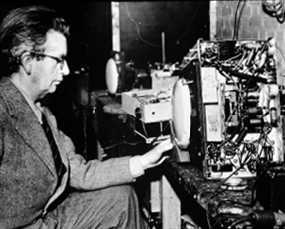 THE JOHN LOGIE BAIRD PHONODISC AND TV- 1928. 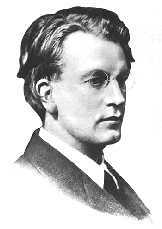 The first videodisc, the Phonodisc, was developed by Scottish inventor John Logie Baird. It was a 250 mm, 78 rpm record, similar to the discs being produced for sound recording at that time. A 30-line television signal was recorded on the Phonodisc. The earliest known consumer recording of a TV broadcast (1933) was onto a Baird Phonodisc. 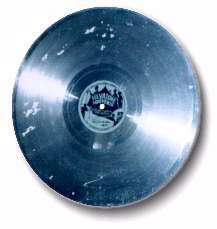 The Phonodisc was not a commercial success and was abandoned in 1936.